There is an ongoing dialogue in many enterprises: Should project management be a centralized, shared-service? Or, should project managers be decentralized and embedded within their functional organizations? The answer is, “it depends.” Every enterprise is unique with its own organizational structure, culture, expectations, and needs. Similarly projects and programs have different characteristics that may favor one model over another. This article outlines considerations for making this decision. Clearly defining centralized vs. decentralized project management is complicated. Few organizations operate in pure models. 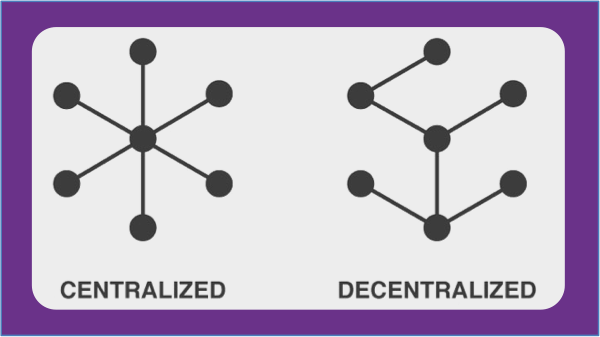 Within the same company, one unit may be centralized, another is decentralized, and a third does both. Also the roles, responsibilities, and expectations of the project manager differ from one area to the next. The organization’s leadership has experience and training in project management. Centralized project management organizations may have dozens or hundreds of resources. They employ a spectrum of resources from junior project analysts to senior program managers. They also hire a blend of internal employees and external consultants/contractors. In decentralized organizations project managers are part of a functional organization, such as: Finance, Marketing, or Technology. These PMs may be part of a small team or work alone. In this model, the principal focus of the organization is not project management. Organization and structural considerations reflect the realities of the organization’s culture, size, and the complexity of the projects being managed. The value proposition considerations outline the intended benefit from centralization or decentralization. Defining the expected outcomes can help clarify the preferred model. Single solutions are developed to address common problems instead of multiple incompatible ones being developed by the decentralized teams. Centralized organizations can, fall into the “one-size-fits-all trap.” They may establish standards and practices that do not resonate with or provide the flexibility required by individual portfolios or programs. Ensuring transparency is an important role of the project manager. Good PMs help their teams effectively manage issues and risks; and ensure accurate progress and status are reporting. Project managers that are part of a centralized organization often have greater freedom to provide an impartial point of view. Their management chain is separate from the sponsoring or delivery organizations. Conversely, PMs that are embedded within the functional teams may feel less independence. Clients appreciate and value project managers that have business or technical domain knowledge. PMs this experience have context, can connect-the-dots, and help ensure a better overall outcome. Decentralized project managers often have greater domain knowledge because they are members of that functional team. Centralized PMs do not have that same opportunity because they are assigned to the next project, which may be in a different part of the organization. In organizations with many projects and project managers, efficiently staffing the work is an important and critical function. Finding the right resources, managing partial resource allocations, ensuring coverage and continuity during leaves of absence is challenging. The effort required to manage staffing is often underestimated. Centralized project management organizations have economies of scale. They have defined processes for staffing and managing the resource needs. They are better at flexing their resource pool to cover partial resource allocations and fluctuations in demand. They also have a pipeline of prospective employees or contract labor. As Drucker said, “culture easts strategy for breakfast.” The decision to centralize or decentralize must be consistent with organization’s culture. Efforts to align organizations that are inconsistent with the culture will not realize the intended benefits. The size of the projects and organizations is also an important factor when deciding to centralize or not. Small companies or small units within a large company tend to decentralize project management and embed them within the business or technology teams. These organizations may not have the scale required to support a centralized organization. They may want to avoid the “overhead” of the central organization, as the benefit may not outweigh the cost. Large organizations have the opportunity to build centralized PM organizations. There are a sufficient number of project and PMs to support a centralized team. They are also more likely to realize efficiencies and benefits of a centralized team. Large organizations may choose to adopt centralized, hybrid, or decentralized organizational models. Often large companies have several divisional project organizations within the business units. Organizations that are implementing large strategic initiatives or programs may choose to use a centralized program office to coordinate the efforts of the individual projects and/or staff the PMs throughout the program. A centralized model promotes consistency of practices, standardized reporting, and transparent communications which are critical to large initiatives. Both centralized and decentralized models can be effective. The most important consideration is adopting a model that resonates with overall organizational structure and corporate culture. Organizations seeking to affect a change should ensure they are addressing their needs. I really enjoyed your blog on centralize or decentralize project management and the value of each of these methods. Thanks for sharing such a amazing article about Project Management System. Really insightful article. I completely agree with “Centralized organizations generally have the following characteristics”.